Hate to say it, but it’s time to start thinking about the holidays, guys. I know! 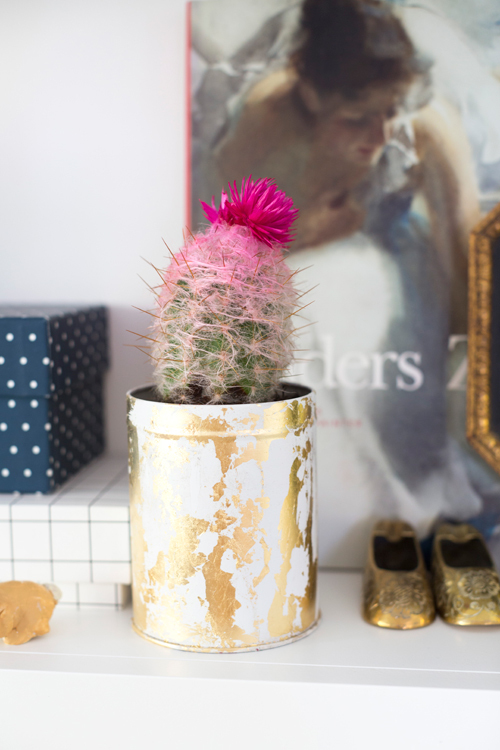 I have some great holiday ideas coming your way including some clever DIY gift ideas to give to your loved ones like these gold leaf planters. How rad are they?! 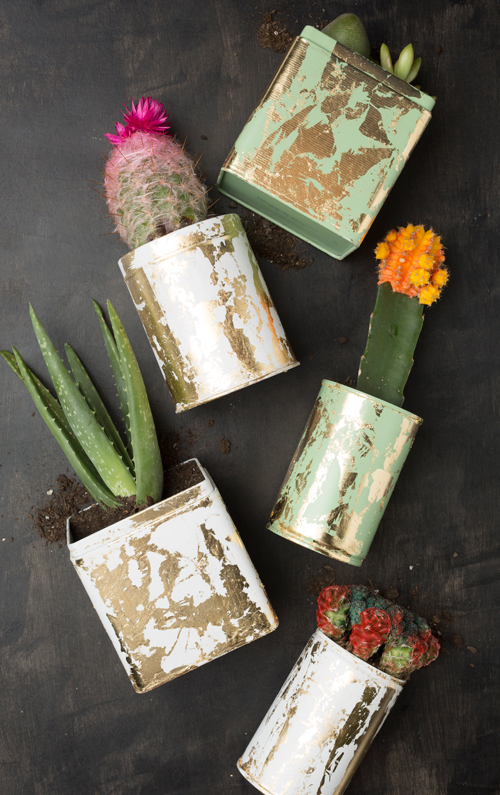 So perfect for adding in some bright cacti or other colorful plants in your home. Let’s learn how to make them. First, prime the plant container. Follow directions on the bottles. After the primer is dry, spray a couple of coats on the container, again following directions of the spray paint. 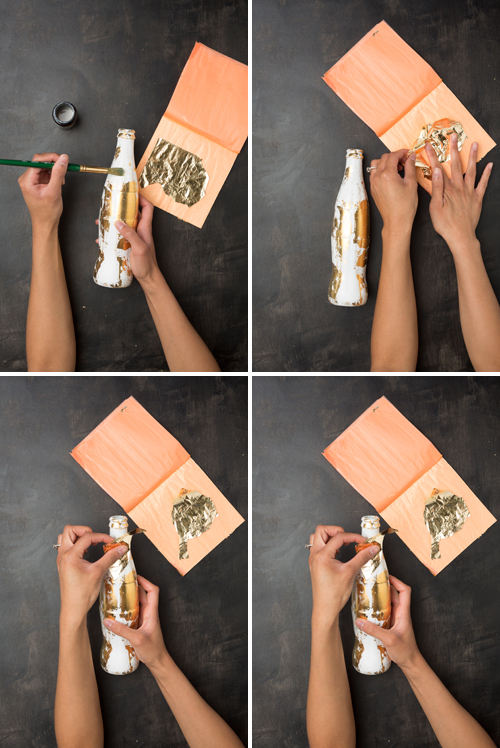 Once the paint has dried, paint the gold leaf glue onto the container. 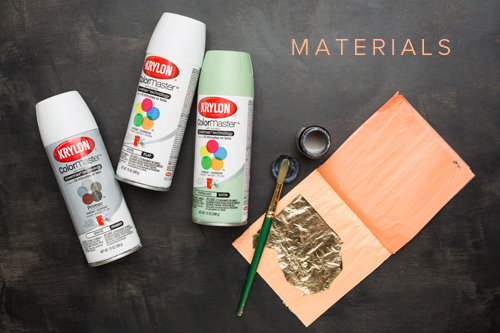 You want to achieve the marbled look so you don’t need a perfect layer of glue. Coat the container with glue haphazardly; thin areas of glue to thick, have some drips and some splatters as well. You want the glue to get tacky, so don’t let it dry completely (check directions of the gold leaf glue). Once the glue is tacky apply gold leaf. Use a brush to help lay the leaf down. Again you are going to a marbled look so this process should not be perfect. 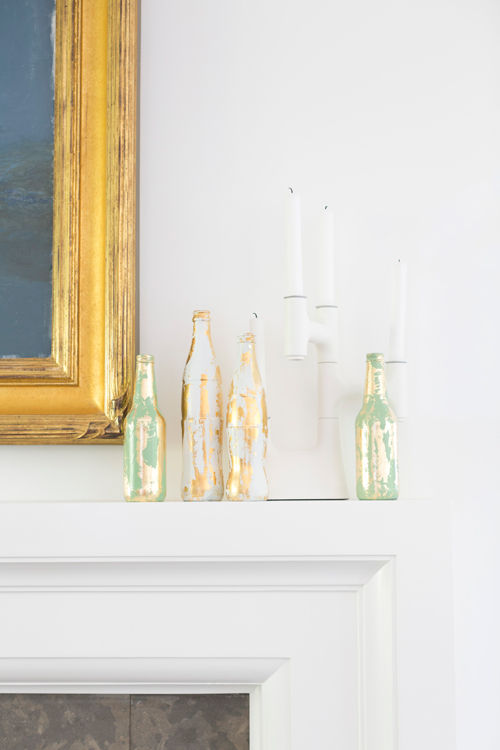 Use the brush to also remove specks or bigger pieces of gold leaf. Repeat steps 4 & 5 until you achieve the look you want. Volia! Now a marbled gold leaf planter. Now plant away!